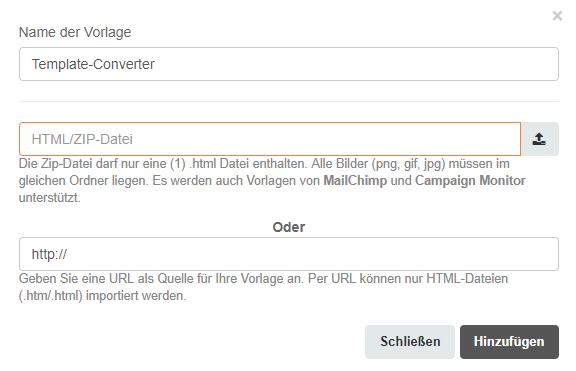 You want to use your external templates (Mailchimp, Campaign Monitor) CleverReach®? Simply upload them and convert them with our Template Converter. The CleverReach® Template Converter easily converts your MailChimp and Campaign Monitor templates to CleverReach® templates. Then use your templates right away in the CleverReach® Newsletter Editor. Click on "Add template" in the upper right corner. Name your template in the window that pops up. Click on the button „Add“. 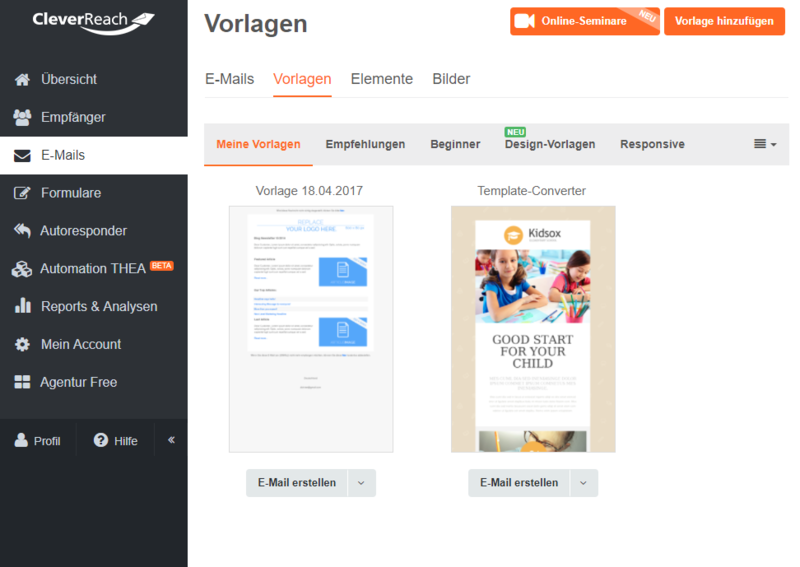 The template is automatically converted into a CleverReach® template so that you can use it to create newsletters in the Drag&Drop Editor. You can find it in the CleverReach® backend under "Templates" and "My Templates" (Note: This is where you automatically end up first). 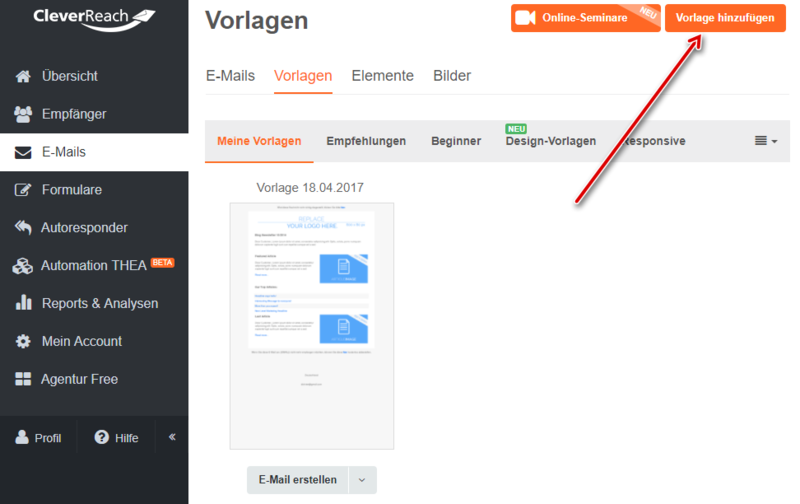 Select your new template and create your mailing.